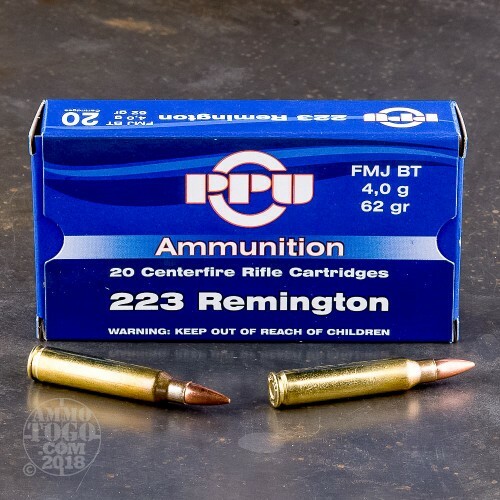 A perfect option for stocking up, this package contains 1000 rounds of Prvi Partizan .223 Remington ammunition. Each round is loaded with a 62 grain, all copper, full metal jacket boat tail (FMJ-BT) projectile. 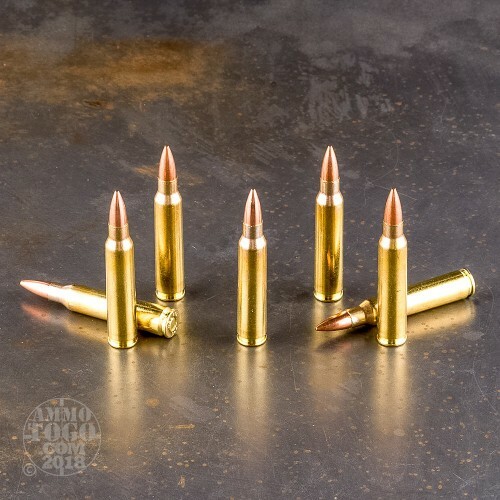 Delivering surprising long-range accuracy, these loads produce minimal terminal expansion, making them a great choice for long-range target shooting. 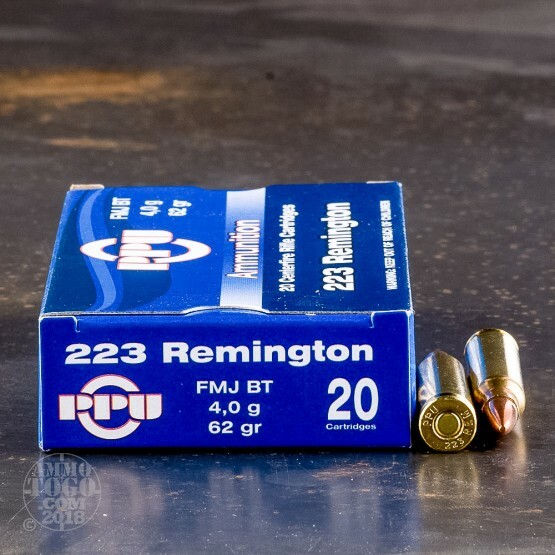 Use them for everything from casual plinking to serious match competition. 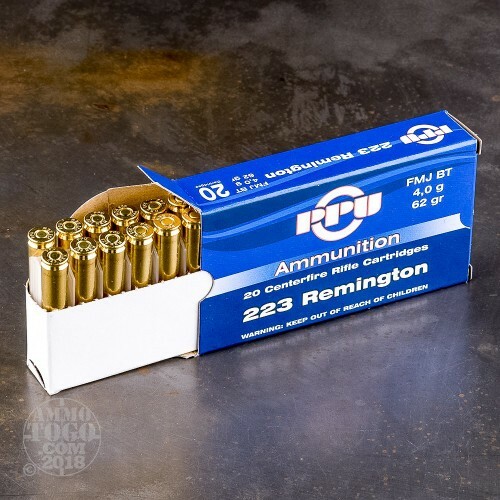 These new production rounds are non-corrosive with sealed boxer primers and feature brass casings with annealed necks. Each round produces a consistent muzzle velocity of 3042 feet per second and a muzzle energy of 1738 foot pounds.